It’s no secret that Brunet-García is passionate about public health and immensely proud of our work building brands that inspire meaningful change. 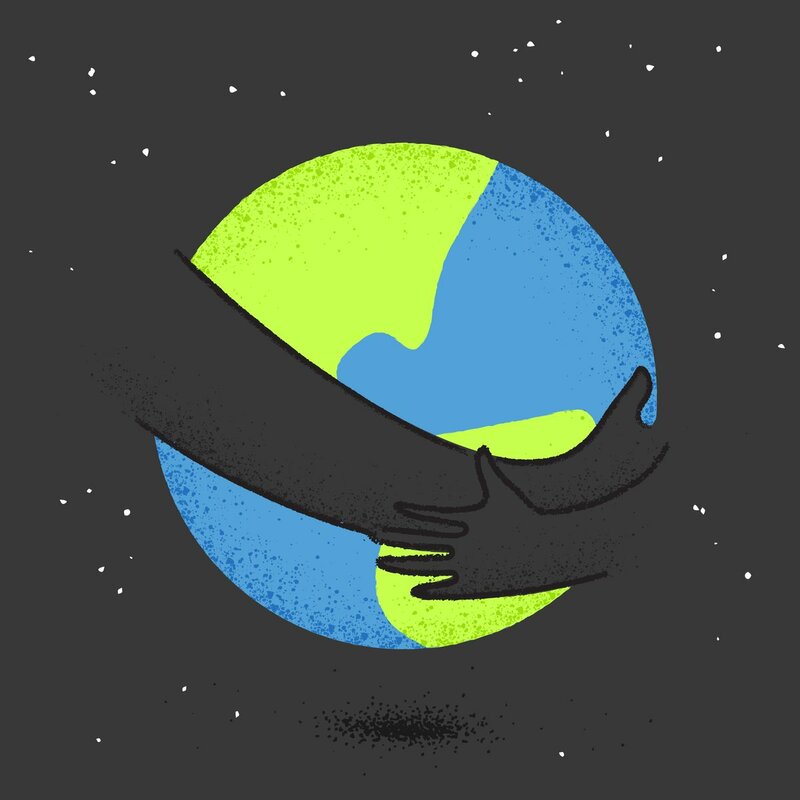 This month, we are particularly honored to launch our latest campaign, focused on an issue that has been part of our portfolio for nearly 15 years. The issue is immunization, and the campaign is called The Power to Protect. 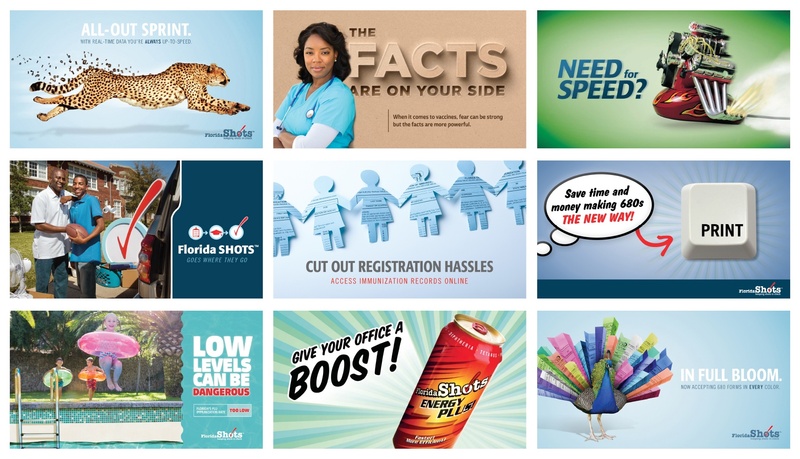 Created on behalf of the Florida Department of Health, The Power to Protect aims to alleviate fear and inspire positive action among parents, women of childbearing age, and healthcare providers. In the creative assets, striking portraits of mothers, children, and babies are broken into mosaic tiles, representing the many elements that make people unique, inside and out. Some tiles are replaced with magnified images of vaccine-preventable diseases, revealing how vaccines work underneath the surface, like a hidden superpower, providing a lifetime of defense against infection. Posters in English and Spanish will appear in doctors’ office across Florida. Brunet-García surveyed Florida parents and guardians with children 18 and younger in the home to assess their healthcare beliefs, behaviors, and trusted information sources to guide the strategic insights and creative direction. The agency also conducted a thorough environmental scan of immunization experts, vaccination-related materials, and social media listening. These images and supporting messages will appear on several social media platforms. Brochures address the protection that comes from childhood and adolescent vaccinations, the protection passed from pregnant mothers to their infants, and the protection immunization provides everyone around you from dangerous diseases across the lifespan. B|G collaborated with creative partners on content production, including Jacksonville-based photographer Jensen Hande and Castaño Group, to capture original images and video of people of diverse ages and backgrounds. Circa, created an original music score emphasizing the movement in each video. The real-life models with bare shoulders and minimal make-up reinforce themes of innocence and humanity. 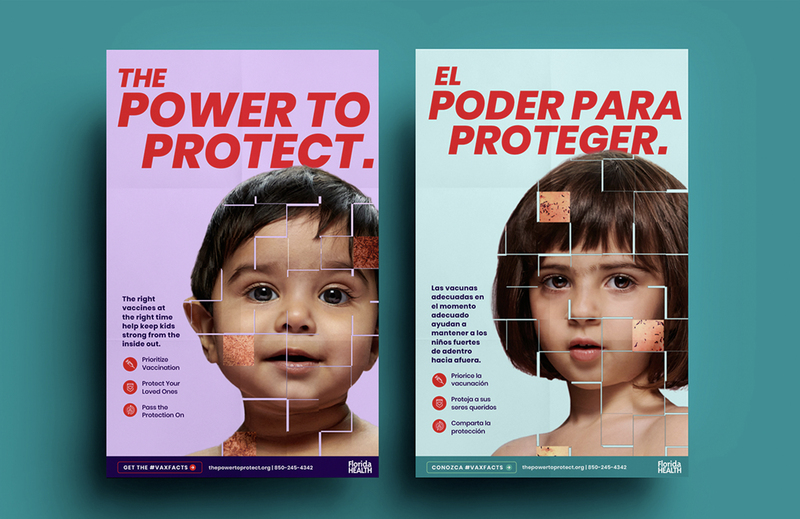 “The combination of striking images, subtle virus animations, and emotional custom music creates a narrative that resonates, drives attention, empowers, and highlights scientific facts about vaccinations,” said Creative Director Eduardo Sarmiento. 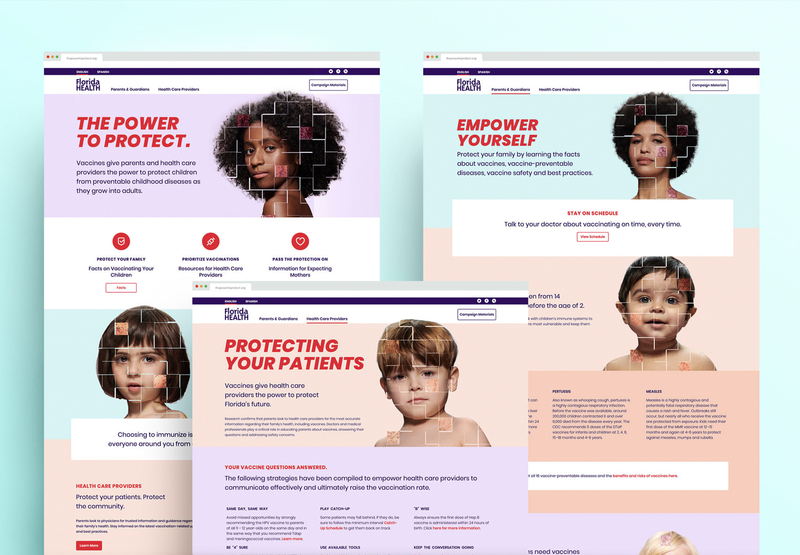 B|G developed this website specifically for this campaign, with links to an immunization quiz, a vaccine clinic locator, and apps to help parents stay on schedule with their children’s vaccines. 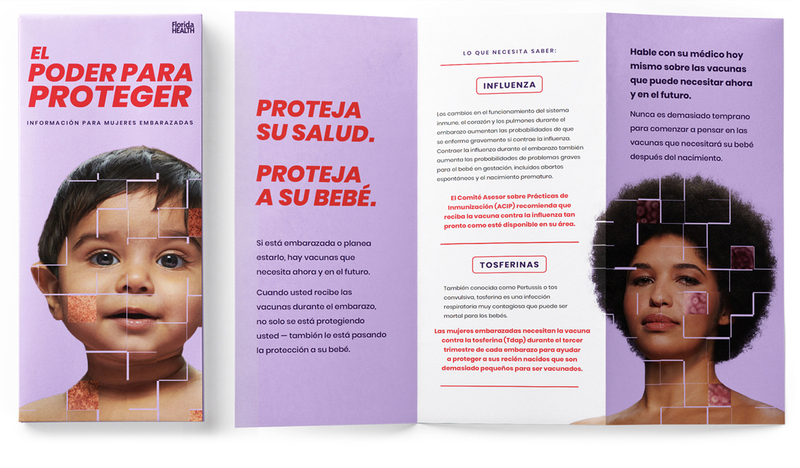 The campaign in English and Spanish launched statewide on March 18 and will include TV, radio, print, digital, social media, and posters and brochures in medical providers’ offices. 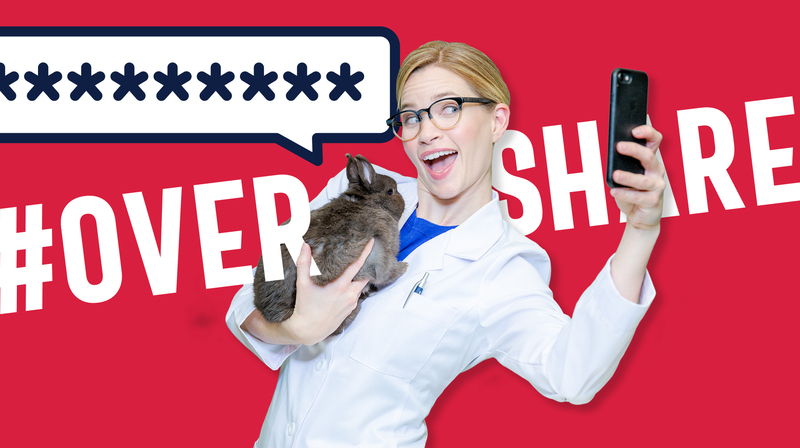 ThePowertoProtect.org, developed specifically for this campaign effort, contains many helpful resources for parents and healthcare providers, including links to an immunization quiz, vaccine clinic locator, and apps to help parents stay on schedule with their children’s vaccines. 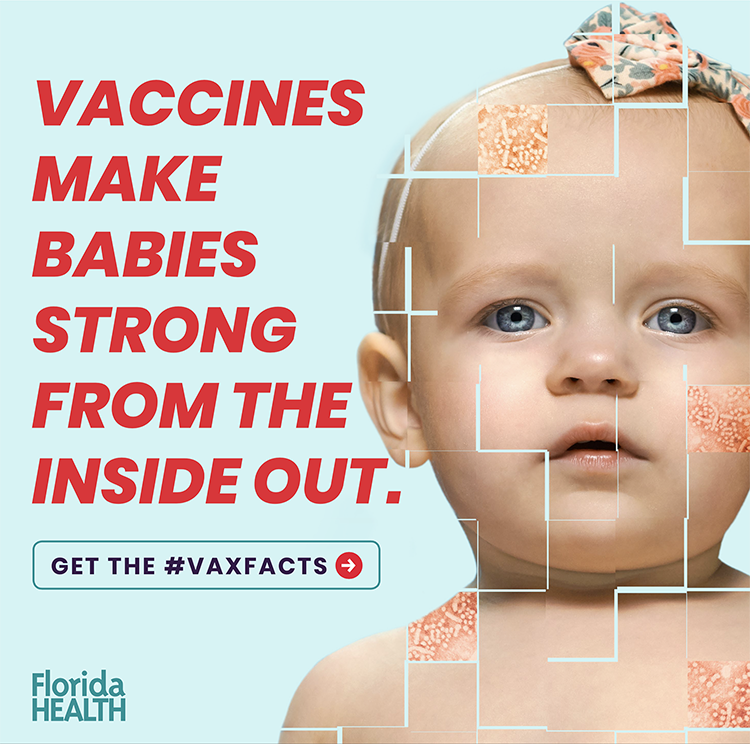 This campaign is the first in B|G’s multiyear effort with the Florida Department of Health to raise awareness and vaccination levels around the state.